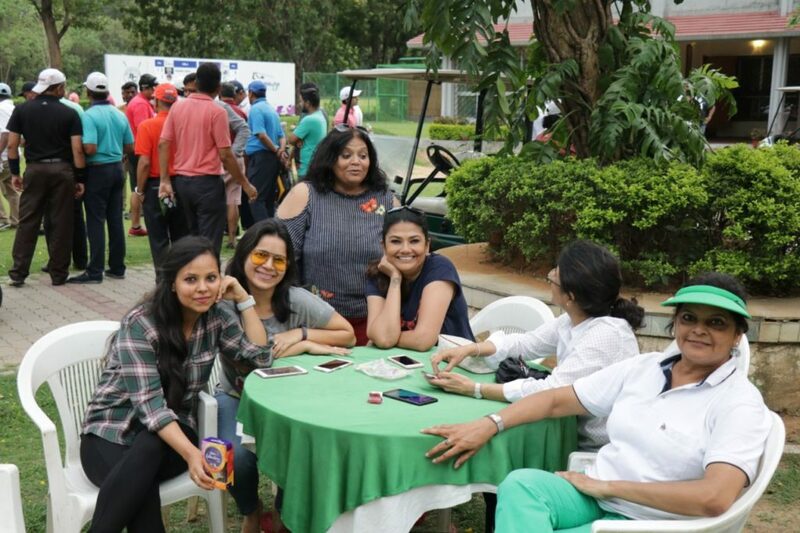 As the temperature climbed steadily, the Jamshedpur golfing fraternity was ready to ‘putt it’. 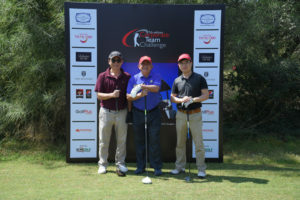 Yes we are talking about the amshedpur Golf League (JGL) – Season II, which took centre-stage of the city’s golfing circuit after receiving an overwhelming response for its first-ever season, last year. Under each captaincy, Golf at Jamshedpur has attained new highs. Here it will certainly be noteworthy to mention that JGL is the brainchild of the present captain, Mr Sunil Bhaskaran. 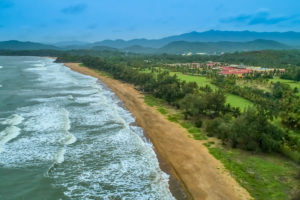 Taking cue from the rising sports fervour in the city, Mr Bhaskaran wanted this zeal to extend and sustain even in the golfing greens where golfers could connect with the larger group over a three-month golf tournament. We are talking about those months when the Jamshedpur citizenry prefers cool interiors rather than the sweltering heat. 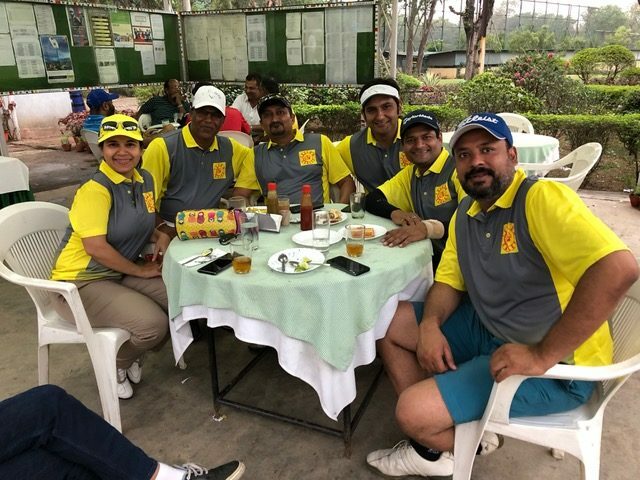 However, golf lovers being the clan that they are, were ready to face the heat, if only a challenging tournament such as the JGL came their way! An anxious wait of 12 months and some alterations in the rules, JGL-II received an enthusiastic start on March 24-25, 2018, with participation from 12 teams and 132 club golfers. While some teams retained their team names and core players from the last season, the others welcomed few new ones and some more fancy titles. Eight players each formed the core of the team while three more were added by means of lottery from the open pool. The rules mandated at least 1 lady golfer to be part of the core eight and each of the 11 finalists be given at least one match in the round robin league stage. The league stage kicked off with staggered play on Beldih and Golmuri golf courses between Saturday and Sunday. With 12 teams divided into two pools, it was a beautiful spirited weekend at the two courses. It was definitely interesting to see the match play format followed at the JGL, with points for fixture decided as 3 for a win, 0 for a loss and 1 for a draw. Any eight players from one team could play on a given day with a 4-group & 2 vs 2 match play format. Teams racked their brains to strategise on the best playing eight, judging closely the opponent’s strengths and weaknesses along with their handicaps. Maximum strokes allowed to a rival player could not exceed 18. 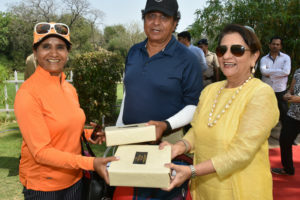 The golfing fervour remained unaffected by the intermittent clouds and occasional rains that interrupted the searing temperatures of the last week of March. Needless to say, JGL fundamentally changes the way one plays the sport, how one thinks about the game and the enjoyment derived out of it. The raging competition it brings and opportunities to play with a large group of people certainly added to the motivation. Round 1 and Round 2 of JGL-II started with a lot of passion but were interrupted by the protracted, dramatic weather! The dark clouds, heavy lightening thunderstorms accompanied by hurricane-like gale, nearly marred enthusiasm of the golfers on Sunday. The seven teams which were unable to finish their matches could finally conclude their rounds the next weekend. JGL II Round 3 concluded on Sunday April8, 2018. The weather was ideal as 96 golfers met to participate in this round. We witnessed several matches getting over before Sunday afternoon. The competition was intensifying with only two rounds to go before the semi-finals. In Pool B, four teams were tied at 6 points each, whereas in Pool A, Roaring Tigers had won all their matches so far. The sun blazed and the temperatures were high! Even though the greens were fast, the winning teams clearly played the best of the fields. However, some wayward shots to the left or right and a few out of bounds contributed to the loss of balls and incurred loss of matches as well. That said, JGL II Round 4 proved to be a turning point for several teams. It all came down to one bad shot, one missed opportunity, one lapse of concentration and one error of judgment. Whoever overcame that, helped his/ her team move closer to the knockouts. The leader board had Roaring Tigers on top in Pool A attached at 10 points, While Pool B had Back Nine Bandits and Epic Warriors tied at 9 points. The sun continued to blaze on Beldih and Golmuri courses. Braving the mayhem, the golfers continued to play a stellar round and the semi-finalists emerged. While there was a clear cut-off on the semi-finalist scores in pool A, pool B had a tie between Queen’s Knights and Back 9 Bandits. Queen’s Knights prevailed as they had won in their encounter with B9B in the league stage. Pool A results emerged not before some nail-biting matches which went down to the wire with as many as three teams having a chance for the second spot. Team Phoenix finally joined the Roaring Tigers to complete Pool A’s Semi-Finalists. The semi-finals were played on April 28-29, 2018 whereby the two favourites, the defending champions Epic Warriors and Roaring Tigers emerged as winners, revealing their gravitas for the league. With the JGL format being revamped, the competitors were to play the Grand Finale on two consecutive weekends at both Beldih and Golmuri golf courses on May 6 and 13, 2018. 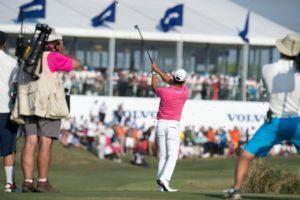 Setting the right tone and rhythm to the enthralling finale were huge hoardings and banners in and around the busy streets of Bistupur, gearing the golfers for the most exciting “Clash of the Titans”. Colourful flags that gelled with the participating teams took prominent spaces at the two courses. Some fancy posters and reminder mails to watch out for the madness to unfold, added to the rising excitement amongst the competing players and supporters. Epic Warriors true to the “Do or Die” spirit, fought tooth and nail till what turned out to be a bitter end for Roaring Tigers. After 36 holes, with four matches in favour of each of them, it finally boiled down to a 4-foot putt on the first hole of the “Sudden Death” Play-off. To make that historic putt was none other than Mr Pawan Marwa. In the Play-off Roaring Tigers assigned the task to their best two players of the day – Navtez Singh and Aditya Panchamiya against Pawan Marwa and Akshay Kumar of the Epic Warriors. Pawan was the only one to hit the green. Having left himself 4 feet below the hole after his 1st putt he slotted the next one confidently to make the only par on that hole and give his team the win for the second time in a row, which may remain only a dream for the others. 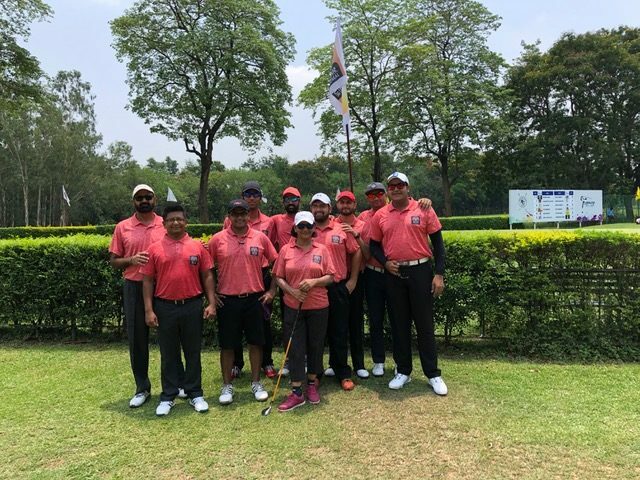 Roaring Tigers played solid golf in each of their outings, were a formidable side and one of the tournament’s favourites. Great teamwork and fair play was their hallmark. As for the defending champions Epic Warriors had created history in ways more than one. The team’s captain and outstanding player, Karna Parikh’s absence, did not bring down its enthusiasm or team-spirit. Rather, it displayed an indomitable spirit with Pawan Marwah taking charge and leading the team to its victory. One would agree that the situation was one where India won the cup without its captain and ace cricketer, Virat Kohli not being there to guide the team. The tournament concluded with Epic Warriors celebrating its victory with a Champagne shower, and discussing its plans for the team holiday at the beautiful golfing country of Thailand!